Fuller information about KGS can be found by downloading the ﻿KGS Handbook﻿. School starts at 8.35am each morning and finishes at 3.35pm each afternoon, except Friday when classes end at 12.20pm (with lunch available from 12.20-12.45pm). A bell rings at all period change times and before registration. All pupils are allocated to a House. They can earn points for their House in various ways throughout the session. There are inter-house competitions such as football, swimming and Maths quizzes. House points can also be awarded by teachers for good work and for an improvement in work. The House that collects the most points in the session is awarded the House Cup at the end of the year. 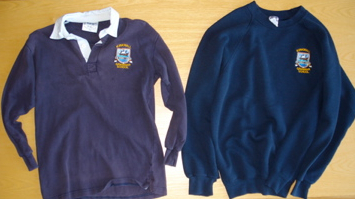 Plain dark trousers or skirts and plain navy, black or white layers are suitable under the school top. School tops are available at KT Sports in the town. For indoor work, pupils should wear a plain t-shirt or top, shorts and training shoes (with non-marking soles). Tracksuit trousers can be worn for outdoor activities along with a sweatshirt or similar top. For swimming, pupils should bring trunks or a one piece swimming costume and towel. The school has a clearly defined homework policy. Pupils are regularly given homework to support their learning and to encourage them to become more organised and self-supporting in their learning. Homework provides an opportunity to consolidate what has been learned in class. Tasks will be given where a teacher feels a particular child or group of children may benefit from it. The homework will be organised according to the stage and ability of the child; it can arise from all curricular areas, and it may include written, oral or practical activities. The tasks set will be worthwhile and challenging for the child. Parents are encouraged to help pupils with homework as a means of keeping them up to date with the work of the class and their child’s progress, and also to promote partnership between the school and parents. It makes you aware of what your child is learning and provides you with a useful discussion starter. Parental interest and cooperation in ensuring homework is undertaken is appreciated. 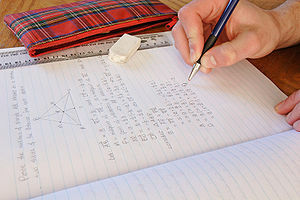 The school encourages parents to sign each homework task. • be polite and considerate. • follow the guidelines for behaviour in each department of the school. Pupils who are positive and who do as they are asked can expect to be praised. Information about awards can be found here. If your child is absent due to illness, please phone the school office before 9.00am and leave a message on the answer machine (the new phone system has an option for reporting absence) explaining the reason why your child will not be in school. Parents will be expected to phone and inform us on each day of absence unless it is a planned absence. Where the school has not been informed of a pupil's absence, a text message will be sent to the main parental contact number (usually a mobile telephone number) asking them to contact the school to explain why their child is not in school. Parents/guardians/carers are asked to respond to these texts promptly, as there may be a serious reason why a pupil has not reached school in time to be registered. If there is no still no contact after this, another text will be sent in the afternoon and if no explanation is received after this point the absence will be changed to truancy. Pupils will no longer be required to bring notes from parents unless they require time off school for a planned absence. The school cannot assume that absent pupils are at home under the safe care and supervision of a parent, guardian or carer. All parents/guardians/carers have a duty and responsibility to inform the school when and why their child is absent. Parents/guardians/carers should ensure that the school always has current and up-to-date contact details, including nominated emergency contacts. Pupils will no longer be required to bring notes from parents unless they require time off school for a planned absence (see below). If pupils arrive late at any point in the day, they must sign in at the office with the Duty Officer and give a reason for lateness and provide a note or appointment card. Pupils need to sign out at the office with the Duty Officer if they have to attend a doctor or dentist appointment etc. They must bring an appointment card/note from a parent. On return to school they must sign back in at Reception. If pupils feel ill during the school day they should ask permission from their teacher to go to Sick Bay. If it is necessary to send a pupil home, parents will be contacted. Pupils must not just go home! It is really important that parents try to avoid booking holidays during term time. If you are going on holiday you should write to the Head Teacher asking for permission and the absence will then be recorded appropriately. There may be unexpected circumstances which mean your child cannot attend school, please inform the school office directly of this (do not leave a message on the absence line). If you know that your child will be off school, for example if they have an appointment or important meeting to attend, please inform the school office (do not leave a message on the absence line). Sometimes pupils will require time off school to attend activities/trips which are not run by the school but which the school supports, eg sports or music. If pupils are going on such a trip/activity, parents should write to the Head Teacher asking for permission; the absence will be recorded appropriately. For full information see the Attendance Policy which can be found on the Policies page. Our school meals service aims to provide children with a high quality and varied diet and copies of the menu are displayed in the school. For more information on catering provision please contact the school kitchen directly. Breakfast is served from 8.10am – 8.30am in the Dining Hall. There is a range of items on offer including bacon rolls, sausage rolls, cereal and toast. There is coffee, tea, hot chocolate, fresh orange juice or fresh apple juice to drink. Most pupils at KGS have school lunches but some go home and others go into town. Whatever pupils chose to do, they must ensure they are back in time for classes in the afternoon. A swipe card payment system operates. If pupils are entitled to Free School Meals then they can either have the main two-course meal or items from the snack bar to the same value. We encourage healthy eating; therefore chips are only available once per week and we strongly discourage fizzy drinks and encourage water bottles. There are to be no energy drinks brought into school. Pupils may bring their own packed lunch which can be eaten in the Dining Hall. Pupils may remain in the building at lunchtimes in the Dining Hall or the Social Areas. Pupils are not permitted to be upstairs during lunch or breaktimes. There is a Tuck Shop but as this is pupil run it is not always available. Application forms can also be obtained from the School and Orkney Islands Council (OIC) Customer Services. Applications must be submitted along with supporting documentation as detailed on the form. For help with filling out the form or more information on school meals and clothing grants please telephone Education, Housing & Leisure on (01856) 873535, email education.grants@orkney.gov.uk or visit in person at OIC Customer Services. Proper safety procedures must be followed at all times when walking to and from school and on buses, boats and planes. Bus pupils must wear seat belts at all times on the bus and should be particularly careful when getting off the bus before crossing any roads. The code of conduct for bus users must be followed. Good behaviour is expected at all times on school transport. Pupils who misbehave may have the privilege of free school transport withdrawn. Parents are requested, when dropping off/collecting children from school, that they do not park in any location which causes an obstruction and that they take care not to restrict the view of the school crossing patrol. If you miss your bus at the end of the school day, report to Reception, where alternative transport will be arranged for you. Pupils taking part in extracurricular activities or attending supported study classes may obtain a bus slip from the teacher in charge. The school also has a Severe Weather/Transport Disruption Policy. Mobile phones, MP3/MP4 players and other electronic equipment are brought into school at pupils' own risk. They must be switched off in class unless otherwise instructed. If they are on or being used in class without permission they will be confiscated. Kirkwall Grammar School welcomes parental involvement as research has shown that when parents are involved children do better in school. The school holds at least one Parents’ Evening for each year group annually, and in addition there are Information Evenings as and when required. KGS also holds many other events throughout the year to which all parents are warmly invited, including musical concerts, drama evenings and sports events. A highlight is the Carol Service in St Magnus Cathedral at Christmas time. Communication routes are varied and include email (admin.kgs@glow.orkneyschools.org.uk), newsletters (posted on this website), the pupil newsletter Pupil Voice, telephone calls, facebook (https://www.facebook.com/#!/pages/Kirkwall-GrammarSchool/410051129035787) and Twitter (http://twitter.com/KGSOrkney). Parents are encouraged to become involved in the school, supporting learning at home through offering quiet time and a place for homework/study and showing an interest in the learning which takes place at school. Parental views are welcome and are sought from time to time through surveys and at all times informally. Please ‘lift the phone’ if you have a query, concern or compliment. Parent Councils are the formal representative body for parents/carers with children attending school. Parent Councils are different in each school to enable them to meet the needs of parents/carers locally. • Express their views on school education generally and work in partnership with their children's schools. Kirkwall Grammar School’s Parent Council Chair is Charlotte Harrison, who can be contacted at 01856872913. There is also a Parent Council website. • To support the school in its work with pupils. • To represent the views of parents. • To report to the Parent Forum. • To be involved in the appointment of senior promoted staff. • To raise funds for the school for the benefit of pupils. For more information on parental involvement or to find out about parents as partners in their children’s learning, please contact the school or visit the Parentzone website. Information on parental involvement is also available on Orkney Islands Council’s website. • Enjoy taking part in the life of the school in whatever way possible. The Parent Forum decides how their representatives on the Parent Council are chosen and how the Parent Council operates. Parents/carers are encouraged to volunteer or put themselves forward to be chosen as representatives of the Parent Council if they wish. At least one report each session is issued to parents on pupil progress, giving information to support future learning. There is at least one opportunity to attend a Parents’ Evening and special arrangements can be made for any parent who wishes to contact the school at other times. Parents have the opportunity to discuss their child’s progress with class teachers on Parents’ Evenings. Pupil Summary Reports are sent home to parents and they have an opportunity to comment on these. In addition, of course, parents are welcome to contact the school at any time to ask for information or for an appointment to consult with the Head Teacher or class teacher. Monitoring performance and using the resulting information to secure improvement is an important part of the work of head teachers, school staff and officers within Education Services. Information is included in our Standards & Quality Report which is published every year. Every year each school publishes a School Improvement Plan which identifies the work that the school plans to undertake during the session. These activities are a very important part of school life and all pupils are encouraged to participate in an activity which interests them. Various clubs and groups meet during lunchtime or after school. Dates and times are announced in the Pupil Bulletin and on the plasma screen events diary in the entrance foyer. Musical activities include Hadhirgaan, the Big Band, the Windband and choirs. Sporting activities include football, rugby, volleyball, netball, basketball and climbing wall. Remember – these are only some of the activities available! 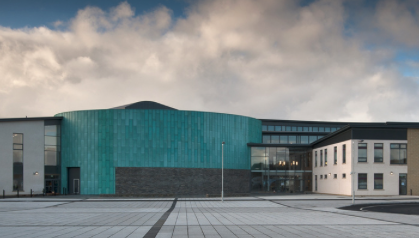 Kirkwall Grammar School has a chaplaincy team composed of representatives of local churches. They are prepared to work alongside class teachers and pupils in preparing assemblies and will visit classes when asked to discuss relevant topics.